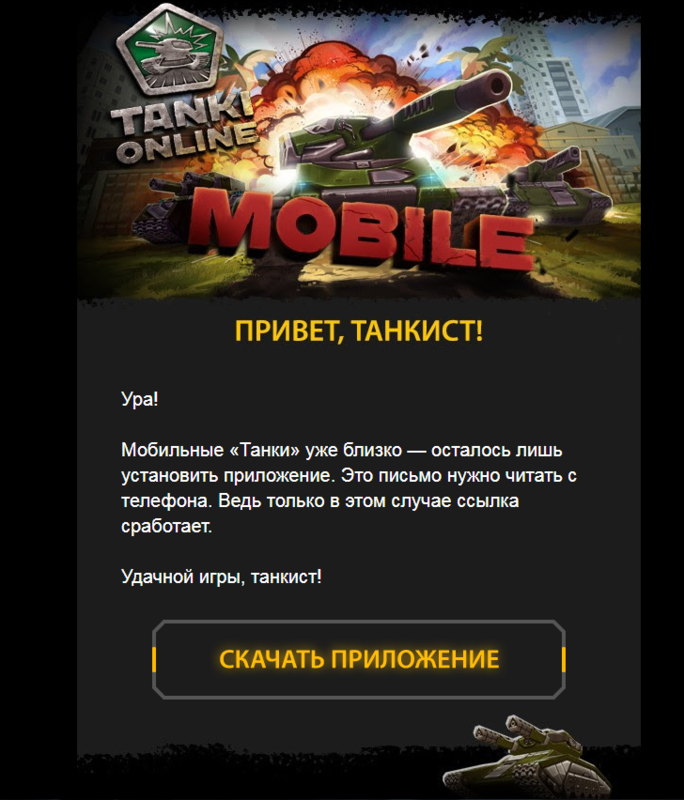 We know some of you have been having some problems opening the link to download the mobile version of Tanki Online in our early access email. If you’ve experienced this issue, here’s how to solve it. Gmail’s mailing service can sometimes disable the button in our message because it thinks it is a phishing link. Open the message and click on the button «Download app». If your message is still in the Spam folder, make sure you move it back to your Inbox. If you have questions, feel free to ask them in the special forum thread. Enjoy your early access to Mobile Tanki!